Summer Transfer Window: Who should we sign and who should we sell? 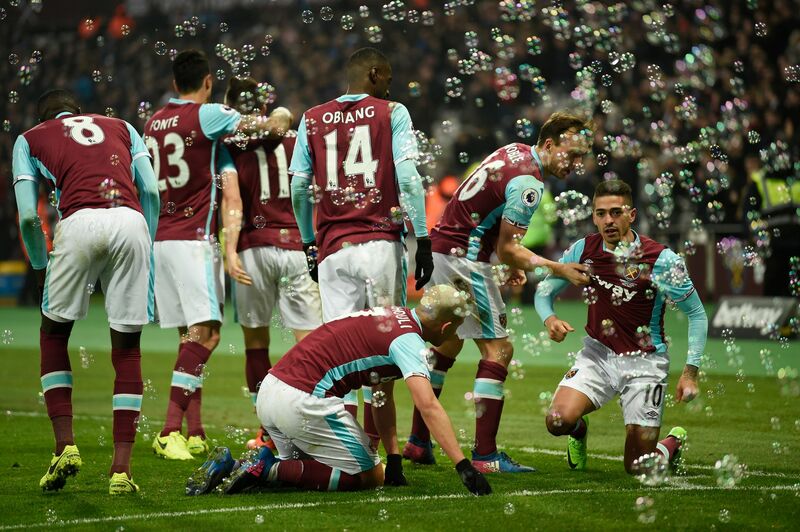 Hello Hammers, its a been a while since I have done an article like this. Now I know the summer transfer window seems a long way away yet, but it will be here before we know it. So in order to prepare for the summer, here is my opinion on what I think the club should be looking to do when the window opens. So I guess I will start with the obvious, we need to sign a right back. I cannot stress that enough and I cannot believe we are still talking about needing one. I know we signed Sam Byram and Alvaro Arbeloa in the last two windows, but in my opinion neither are them are of a first choice standard. I think Arbeloa’s legs have gone now, and Sam Byram is just not quite ready yet. We need to sign a right back who is going to make an instant impact on the side. Naturally a centre back, but he was basically our right back last season and a brilliant one too. I also think this is a realistic option for us too, due to the struggles at Selhurst Park this season. He has been in and out of the team a lot and has apparently had a huge incident with the Palace fans this weekend. He is a West Ham boy through and through, and I believe that if we were to go in for him, then he would not think twice about returning. If Palace go down too, he would be available for a cheaper fee. I know he plays for Spurs and that Daniel Levy is not the easiest person to do business with, but Trippier is never going to be first choice there. He has said himself that he will never be selected over Walker, and I believe at his age he would be tempted by the offer of first team football. However, this deal all depends on Daniel Levy. We all know he would probably price us out of a move for him. Sagna may not be as young as the others, but he is still a quality full back, still performing at a very high level has bundles of Premier League experience. He is a free agent in the summer and I think he would be well worth signing. He is the exact same as Sagna. Okay so he might not play for as good a club, but he still performs in the top division and has plenty of Premier League experience. I believe Johnson is also a free agent in the summer. We also need to sign a striker in the summer. We are crying out for someone who can score 15-20 goals a season. Yes we have Carroll, but he will not stay fit for long periods of time, so we need a better and more reliable option. He may seem unrealistic, but if you don’t ask, you don’t get. I know we got turned down by the player last year, but he has said he wants to leave Lyon this time around. We would be able to offer him first team football unlike other interested clubs, and he could be the striker to possibly take us to the next level. Obviously if we were to get him, he is going to cost a huge amount of money. I feel sorry for Batshuayi, as he has not been given a fair chance at Chelsea. However, when he has played he seems to have scored. He is still young and again first team football would be a major factor in any deal happening. He would possibly be available for less than the £33m that Chelsea paid for him last summer. I know Sturridge has an injury record very similar to or if not worse than Carroll, but there is no denying that when he is fit that he is one of the best strikers around. I am not suggesting that we should break the bank for him, but I think it could be worth taking him on loan for a season from Liverpool with a view to a permanent deal. That way we aren’t throwing money away and we can handle any possible injuries properly. He is nearly 35 years old, but a goalscorer is a goalscorer. He would be a brilliant signing to make, especially if we got him on a free should Sunderland get relegated. They are the obvious areas that we need to strengthen, but I feel that there are more places that we could improve on. I would like to see us sign a new goalkeeper, someone who is of a higher standard than Randolph and Adrian. Obviously I am talking about Joe Hart. I really think we should go all out for him, as he would bring so much to the side and I feel that we would gain a lot more points during a season with him between the sticks. I would also like to see us sign Gylfi Sigurdsson. I think he is an absolutely brilliant player who can create chances out of nothing. He has great vision, great delivery, is a very hard worker and would be a brilliant asset to us. He is out of contract in the summer I believe, and there has been no sign of him signing a new deal. He has deserved to lose his place to Darren Randolph this season after a number of poor performances, and he doesn’t seem content with being number two. If we can get Joe Hart in then Adrian has to leave for me. I don’t want Collins to leave, but I just don’t see much space for him at the club with Reece Burke and Reece Oxford both coming through in the near future. Could Collins be interested in taking a coaching role at the club? I don’t know, but I would rather see that happen than see him leave. He deserves as much for giving so much of his career to West Ham. If we can get a good offer from someone for Enner, then there is no doubt I would sell. He just isn’t good enough for the Premier League. Besides, with new strikers arriving, there won’t be much space for him anyway. This may surprise people, but I would cash in on Sakho. He has a horrible injury record for a start, and he has had a lot of personal trouble over the past year at the club. I like him, but I think we should be aiming higher than him now and get rid should the right offer come in. There is no doubt that the summer window is huge for this football club, and I hope that we make some top signings so that we can push on to the next level. Well that is my in depth view of what I think the club should do in the summer and I hope you have enjoyed the article. COME ON YOU IRONS!! !